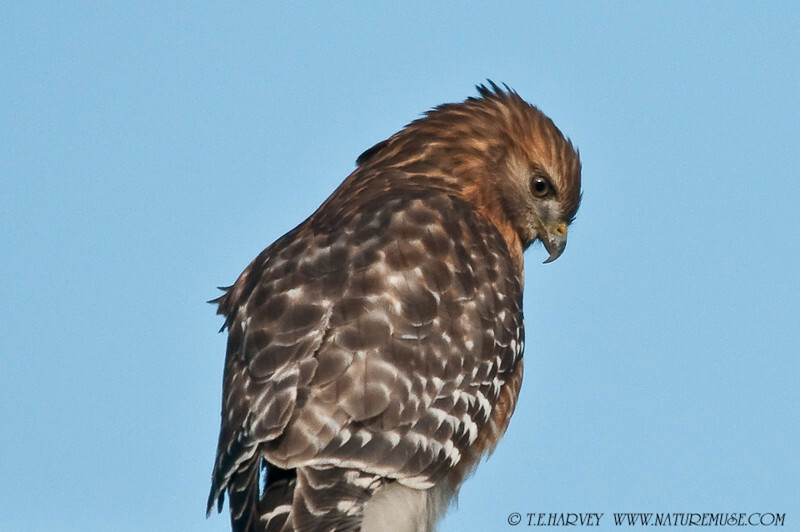 The Hawks of Fairfax County Parkway, Va.
During the cold winter months, many hawks hunt along or nearby the Fairfax County Parkway providing a wonderful opportunity to observe the beautiful Raptors. At times, one could see 5-7 hawks in an 8-mile stretch of road. They perched on small shrubs, trees and often on road signs in their search of prey.